W Horton & Sons Ltd started out life in Birmingham’s Gun Quarter in 1855. William moved his business to Glasgow and the business blossomed, carried on later by his son Oliver. Oliver had two daughters, in the 1920’s it wasn’t seen as good form for Ladies to run any business, let alone a gunmaking company. The stock was sold to Arthur Allen and the records passed to Olivers cousin James William Horton who at the time was foreman at BSA (Birmingham Small Arms). Steve Horton, great grandson of James William Horton, has re-started the business back in Birmingham’s Gun Quarter literally feet from where it started back in 1855. The aim is to be the Midlands Premier retail destination for the shooting community in and around the Birmingham. We offer a friendly consultative sales experience, with a cup of tea always offered. 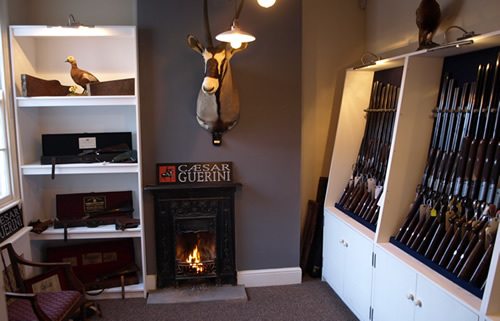 We have a well presented Gunroom containing a selection of new and used guns manufactured by Berreta, Browning, Fabarm, Caesar Guerini, Lincoln, Rizzini and Zoli. We have the largest selection of classic side by side game guns in the midlands (Old English and Spanish). An up to date stock list with pictures can be viewed on our website www.hortonguns.com. 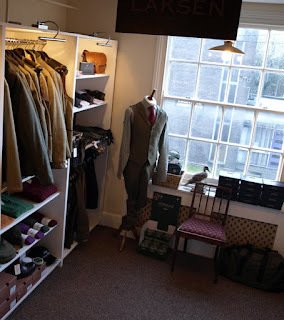 W Horton & Sons Ltd offer a wide range of clothing for shooting and general country wear from Deerhunter, Laksen, Seeland, Harkila, Le Chameau, Aigle and Musto. In readiness for the 2015 season, we’ll also be offering Dubarry boots and clothing. This again can be viewed on our website. Finance up to 4 years (0% APR is available on selected items) along with a guaranteed future value on any purchase based on a part exchange with us within 5 years (allowing for fair wear and tear). Your new gun can be delivered to your home address (mainland UK) for £45 allowing us to sell nationwide with little effort from our clients. Due to our location, we have several highly skilled gunsmiths on our doorstep and can offer a wide range of servicing and repairs.